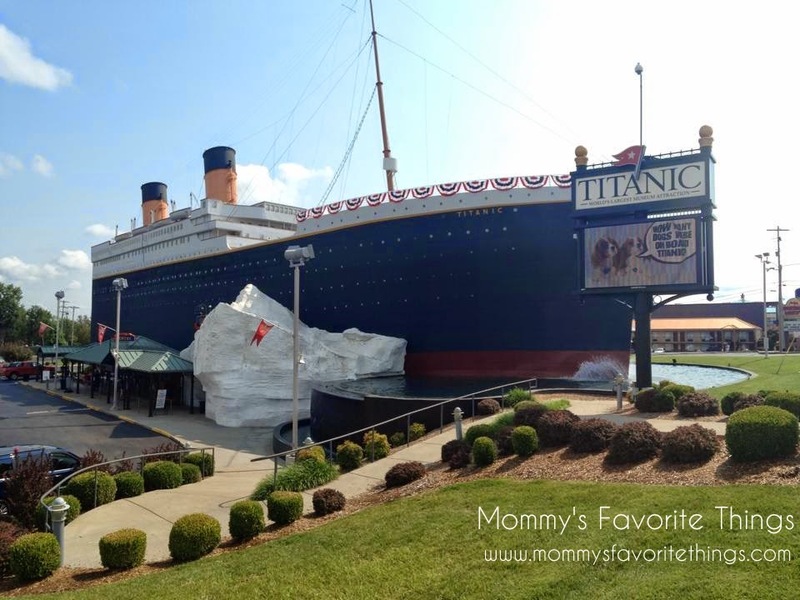 I was so excited to get to visit the Titanic Branson. A very awesome place to visit. It's a permanent interactive family attraction. They have interactive children displays. The staircase is built from the original blueprints! It's so realistic! Unfortunately no photos were allowed inside, but let me tell you this Museum was AMAZING!! If you're in Branson you NEED to do this attraction. You buy your tickets and they give you a card with a passenger's name on it, an audio device and pins for your kids. Then you're off to do the museum. At each section of the museum is a plaque with a number on it. The audio device is like a remote, you put in the number and then hit play and hold it to your ear. It will give you a speech on information about that part of the museum. Veyr interesting and a lot of fun. They have a lot of the original stuff inside the museum. They have life vests, deck chairs, original letters and more. It's very neat to get an idea of what things were really like back then. 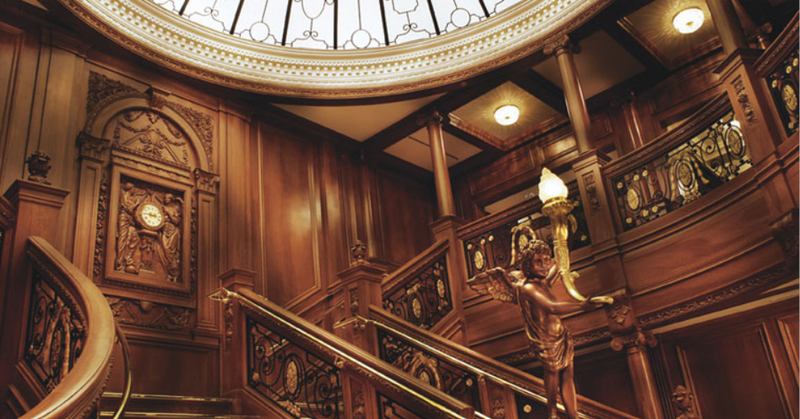 The "original" staircase is truly original. Made with 24k gold plating makes it so gorgeous!! A guide inside said that a first class ticket would be equivalent to about $16,000 now! A third class about $1200 and a second class around $3000. Very pricey, but worth it with all meals included. There was also some water there set at the temperature it was that night. You put your finger in it and set a timer. I lasted 15 seconds and my husband 23. It was VERY cold and I can't imagine how people survived being in that water! Overall a very neat experience and something everyone should do. Ticket Prices: $24.26 per adult, 5-12 is $11.22 and 4 and under are free. Loved getting the review for this, we missed it last time in Branson I really want to go next time. I really loved the movie and this would be awesome to tour. Thanks for sharing.